Readers across Gwinnett celebrated literacy and Dr. Seuss earlier this month during Read Across America celebrations. Readers of all sizes (and hairstyles) took part in the annual event that celebrates reading and recognizes the birthday of Dr. Seuss, the beloved author of children's classic storybooks, including The Cat in the Hat, Green Eggs and Ham, and Horton Hears a Who. graders at Berkeley Lake Elementary School. Students and teachers at Nesbit Elementary School celebrate Read Across America with Seuss hair. 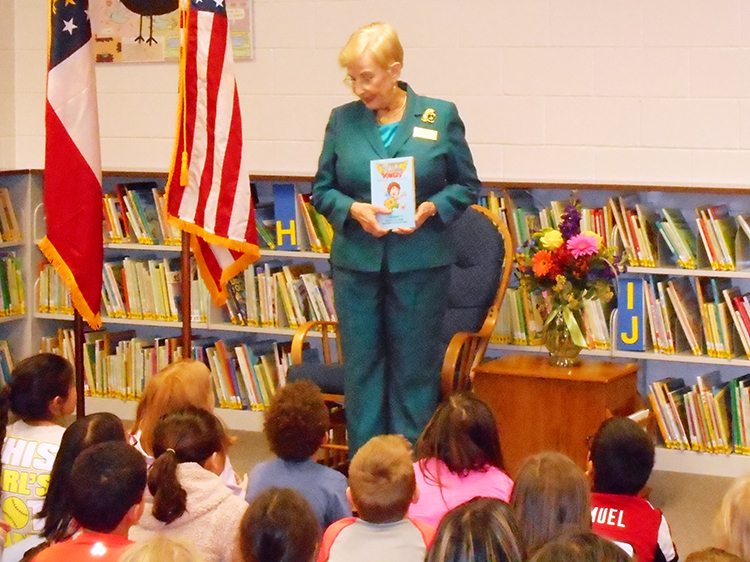 Georgia First Lady Sandra Deal reads to students at Suwanee Elementary School.